1.Download Bither Wallet. One Bither wallet only support one HD account. If you already manage a HD account in Bither wallet. You need find another device to install Bither Wallet. 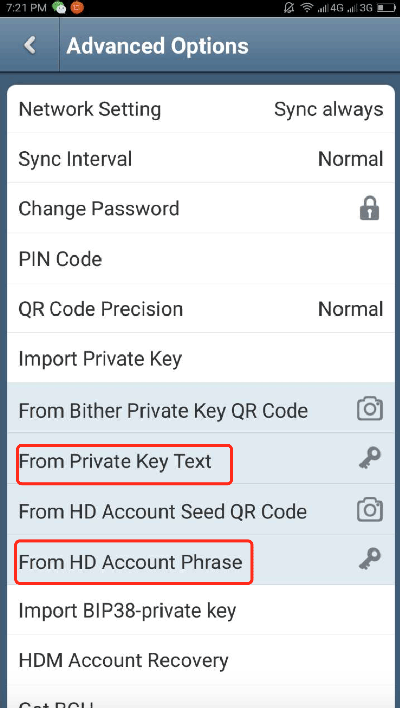 Import your private key into Bither wallet, you can find from : Settings - Advanced Options - Import Private Key.If you have a private key, just import your cleartext private key. If you have a HD seeds, use the 12 seeds words. If your private key is in uncompressed format, you will be asked to choose compressed or uncompressed format. You can just try them one by one. 4.After the import is finished, check your address is correct or not and try to check your transaction history. You will get you balance and transaction history after the synchronization is finished. Then you can start to claim your fork token.